The Girly Blog | insideWYNTER: Lumiere Et Alouette Cosmetics. Aren't those colors cute? I loveee "Reef" and "Coral"
It's small etsy shop business. The owner's name is Aimee as she is so kind and sweet. 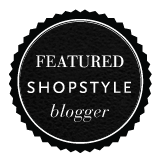 & You know good customer service is a MUST especially when it come to online stores. 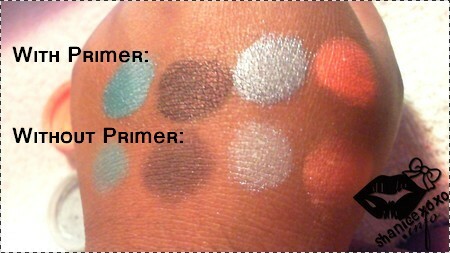 This cosmetic line has highly pigmented eye shadows and they're affordable! You can get a 10gram jar of your favorite shade for at most $6.99. Some 10 gram jars even cost $3.49. 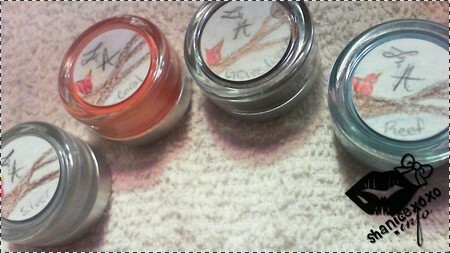 The Colors I received were "Reef", "Grave Digger", "Silver", and "Coral". I applied the eye shadows on a base and also on my bare hands. long lasting I really recommend a base/primer. The next set of eye shadows I tried out were "baggie samples". In the colors "Saxon","Black Hole", and "Thunder". I don't believe that you can purchase the baggie sizes at her shop. But you can purchase the full sizes (10g) for these colors. Again, I applied the eye shadows with both base and no-base. Now, these eye shadows are really pigmented. especially the "Black Hole". It actually seems to have a dark green undertone to it. I loveee the Saxon shade, it's like a perfect shimmery navy blue color! Overall, I like their products. The $3.49 pricing is a deal. I would compare them with E.L.F's mineral eye shadows. Just a little more pigmented! FTC DISCLAIMER: The Lumiere Et Alouette Cosmetics were gifted for a possible review. I wasn't compensated nor was my opinions influenced. This is my honest thoughts on this company and their products. I agree these colors are great. I love Reef, Coral & Grave digger. Now if only I can apply make up lol. Nice post, these colors are really cool. I agree with the above. The colors are GREAT –especially the coral and reef. So unexpected. I like the grave digger shadow. I love neutral looks, and that brown is perfect! Mind checking mine out? I am hosting a cool giveaway and who knows, maybe you can be the winner !!! Nice post and love the colors so cool. WOW I love Reef and Coral! Gorgeous Hues! I have been so obsessed with coral recently!I love it! I adore the blue! They are so bright.